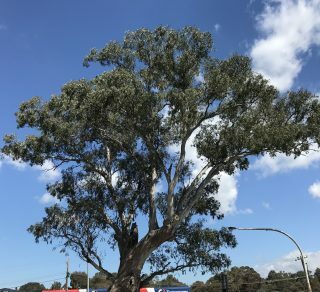 Voting for the 2019 Victoria Tree of the Year takes place during the Australian Heritage Festival from Monday 15 April to 19 May 2019 . Find out how to vote below. 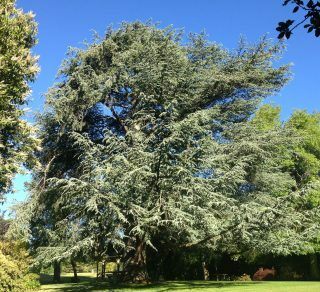 The Victorian Tree of the Year winner will be a tree that has captured the hearts of Victorians; it could have a dramatic history, or a majestic canopy; it doesn’t have to be the biggest or the oldest of its kind, just the tree we love the most. 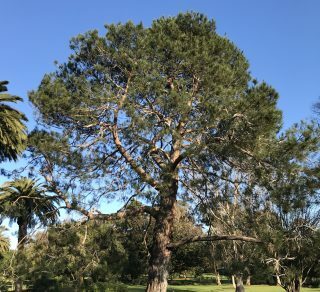 The contest continues to follow in the footsteps of an immensely popular winner in 2018, the Lollipop tree (Monterey Pine, Pinus radiata) at the Parks Victoria Mount Beckworth Scenic Reserve. 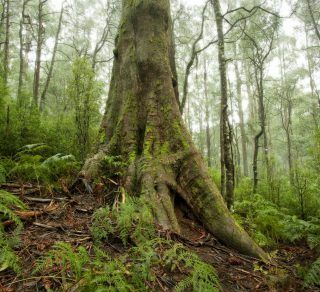 The National Trust of Australia (Victoria) is the state’s leading advocate for the protection of trees, celebrating the benefits they provide to our communities. Since 1982 the Trust has classified over 20,000 trees in 1,200 places across the state on the National Trust Significant Tree Register. 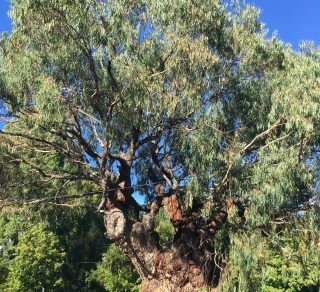 For a full list of the 2019 Victorian Tree of the Year finalists and how to vote via our Facebook page, see below. Notable for its large trunk measuring 9.45 meters and canopy spread close to 20 meters. 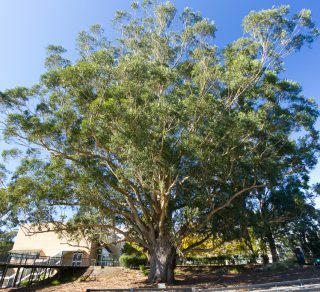 Located at 1,600 meters altitude, the tree is a dominant feature of the landscape and is recognised as one of the largest specimens known in the Mansfield region. Located Alpine National Park, Mansﬁeld. 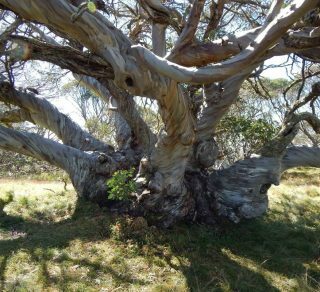 Vote for the 'King Billy' Snow Gum via our Facebook page. History suggests that this tree is a union of two trees with a cavity in the centre. It suffered from steel spikes and horse shoes nailed to it, as locals used the tree as a message board during the gold rush. These metal objects were eventually covered by gall formation, giving the tree its distinctive shape. It’s extremely galled trunk measures 7.4 meters in circumference. Located Cnr Tanswell Street and Dowling Court, Beechworth. Vote for the Apple Box tree via our Facebook page. Located on a historic property formerly owned and developed by Dr John Cam Wight in 1907, this Plane tree is one of two on the site. It is impressive in size, with a height of 25.7 meters and canopy spread of 27 meters. Located 3 Oak Dene Court, Kyabram. Vote for the London Plane via our Facebook page. 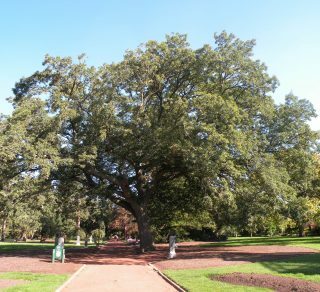 This Turkey Oak tree has a very large spreading canopy and is the largest known example of the Turkey Oak species in cultivation in Victoria. It measures 24.5 meters in height, with a spread of 30 meters and a trunk circumference of 3.5 meters. Located Ballarat Botanic Gardens. Vote for the Turkey Oak via our Facebook page. This River Red Gum is over 300 years old. It was saved by Mrs Fullarton when the rest of the block was cleared, prior to the building of the service station. The height of this tree is 20 meters with a spread of 17 meters and a trunk circumference of 6 meters. Located Corner Bridge Street and Manningham Road, Bulleen. Vote for the River Red Gum via our Facebook page. Known locally as ‘The Tree of Knowledge’, this majestic old tree has twin trunks which have fused together. It measures 39 meters in height with a canopy of 37 meters and a trunk circumference of 2.7 meters. It was planted as a seedling on Arbor Day, 23 May 1896, by Mrs Elizabeth Downing who lived on what was then a farm. Located Federation University, Gear Avenue, Mount Helen. Vote for the Tasmanian Blue Gum via our Facebook page. 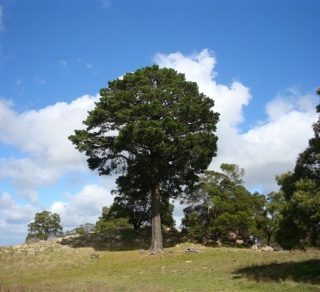 This tree is of historical significance, being one of the four original trees raised from the 'Lone Pine' in Gallipoli. Sergeant Keith McDowell brought a pine cone back to Australia and after 10 years, successfully grew four seedlings from the cone. The Warrnambool specimen was planted on 21 January 1934. Located Warrnambool Botanic Gardens. Vote for the Lone Pine via our Facebook page. This is an impressive double avenue planting comprising several Eucalyptus species. The avenue was proposed in 1943 by Mr JE Woodburn, to occur amongst existing trees. It was planted as a memorial to his son who was killed in WWII. Located Goulburn Valley Highway, Shepparton. Vote for the Calder Memorial Avenue of Honour via our Facebook page. 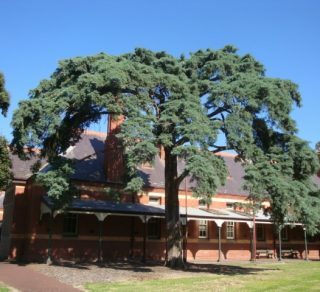 This tree is rare in cultivation in Victoria and makes a rich contribution to this Sunbury historic property. The site has a rich and layered history, with connections to the Indigenous community, and a long history of community use. Located Caloola (Jacksons Hill), Sunbury. Vote for the Weeping Mexican Cypress via our Facebook page. This tree is outstanding for its size with a height of 29m, a canopy spread of 15m and a trunk circumference measuring 3.6m. It is 140 years old, having been planted in 1879 by Lady Bowen, wife of the Governor of Victoria at the time. It is a magnificent lawn specimen, featuring an outstanding rounded crown and even branch distribution. Located Royal Botanic Gardens Victoria, Melbourne Gardens. 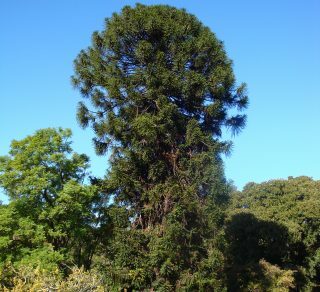 Vote for the Bunya Bunya Pine via our Facebook page. 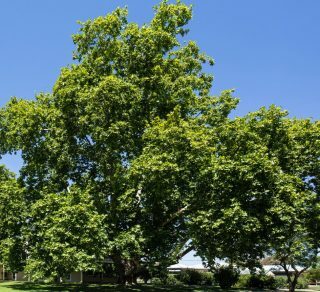 The 2019 Victorian Tree of the Year will be announced at the end of May 2019! 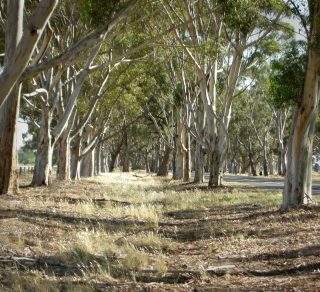 There are over 2,500 significant tree records compiled over 30 years by the National Trusts across Australia. Search to find your favourite tree, or nominate a tree to the Register. Th Lollipop tree (Monterey Pine, Pinus radiata) at the Parks Victoria Mount Beckworth Scenic Reserve receiving a convincing 351 of the total 830 votes. This Mountain Ash (Eucalytus regnans), known as the ‘Kalatha Giant’, thought to be at least 400 years old. It is currently one of the largest living trees in Victoria.